We are happily counting the days as we get closer to our upcoming family vacation at Walt Disney World Resort. I am a huge planner when it comes to vacation. Some people get bogged down with details, but I devour them. Planning is a fun way to extend the fun as far as I am concerned! There are a bunch of Disney World Guides available full of tips and tricks to help you plan. Read the one that interests you! Thankfully, my boys share my love of anticipation so whenever we have something fun coming up we make a countdown! In the past, we have done countdown paper chains and that is a lot of fun, but for our big Disney World vacation this year I wanted to do something a little different. 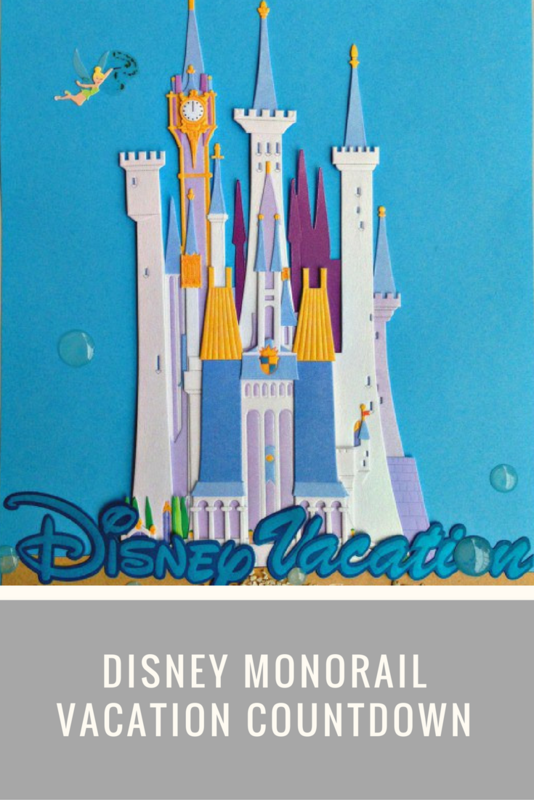 I turned to Pinterest in search of fun ways to countdown to a Disney vacation and I came across this adorable monorail countdown on Mouse Ears Mom! I modified her idea a little bit to suit our family and I just love how it turned out. Since my kids are young (ages 5 and 3) I didn’t want to countdown for a full month. I decided on 2 weeks for our monorail and I think that will be just enough time to fuel our excitement without getting too impatient. I mentioned the free printable templates from Mouse Ears Mom in my video so make sure to grab them! I can’t wait for our trip and one look at Pinterest tells me I am not the only one who gets into this stuff. I love this paint chip countdown from Bombshell Bling. I can see us doing this one too, especially with the fun calls to action on each card. Making the World Cuter certainly made the traditional countdown chain cuter. Last year we did a Mickey chain, but I just love the idea of including other favorite characters. I love the Goofy chain! I would never want to store this adorable clothespin countdown from my friend Ashley at FiddleDeeMe! I think I need to add some die cutters to my crafting stash and then make sure to have a trip planned at all times. That should do the trick. At the end of the day, it’s all fun. After all, we’re going to Disney World! What’s your favorite way to count down to a Disney vacation? Want more? I enjoy writing about our vacations – especially Disney ones!